The current issue is availabe only to digital subscribers. Please enter your subscription email address to gain access. The latest issue is available for all our digital subscribers and can be accessed here. To become a digital subscriber please complete the Digital Subscription form. 12 SRIXON Z STAR GOLF BALLS, courtesy of Nevada Bob's. It's completely free to sell your items in Essex Golfer. 1. Add one item at a time. SUCCESS! Your advert(s) have been submitted for authorisation. You will be notified by email as soon as the authorisation process is complete. It's completely free to advertise in Essex Golfer. 1. Add holiday locations one at a time. SUCCESS! Your holiday(s) have been submitted for authorisation. You will be notified by email as soon as the authorisation process is complete. Subscribe to Essex Golfer to receive a free copy every month. Essex Golfer has been going strong for years. Since the first publication in 1996, Essex Golfer has published all the County news, working with both the Men’s and Ladies governing bodies: The Essex Golf Union and The Essex Ladies County Golf Association as well as The Essex PGA and East Region PGA. We have an Events page keeping the Golfers of Essex up to date of what events they can play in their County. Some of our most popular pages are our free to advertise Golf Mart and Holiday Golf, all available online and in print. On top of this we aim to pick out the best bits of what’s happening Nationally and Internationally to keep our valued readers entertained every month! 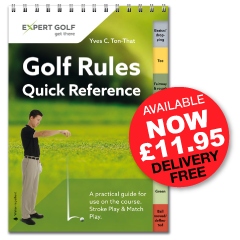 We are a team of Golfers, Who knoatch about Golf, Production, Printing and Marketing in the Essex area.